El Segundo Sol serves up some of the freshest, most authentic Mexican food on the Las Vegas Strip, so when they told us they were going to let us in on their secret of what makes their guacamole so freakin’ delicious, we were all ears. 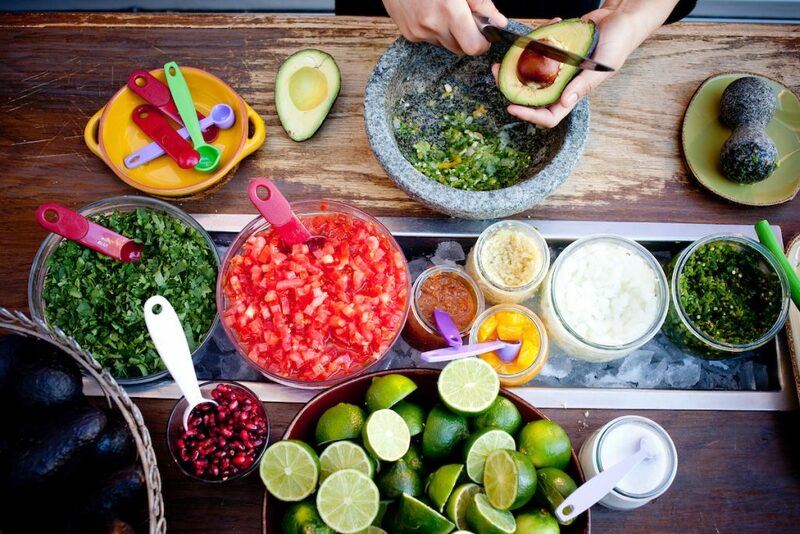 Aside from always starting with the freshest ingredients, Chef adds oranges to the guac. The oranges brighten it up and further accent some of the familiar flavors that we know and love. First, the raw oranges, Serrano peppers, onions, garlic, kosher salt and lime juice get muddled up. By muddling them, the pulp and the juices are released. From there, mix in with the avocado, tomatoes, cilantro and mix it all together. The vessel in which you muddle and mix your ingredients for guacamole is actually super important. The Molcajete has a long history in Mexican cooking, going back hundreds of years. The idea of using a Molcajete and muddling all of your ingredients together is similar to using a cast iron skillet when you cook. A true Molcajete gets seasoned (literally) as you continue to use it to make salsas, guacamole and more; some say it gets better with age! If you’re looking to add one to your kitchen, El Segundo Sol sells the same Molcajete that our chef team uses! Make a reservation at El Segundo Sol here. 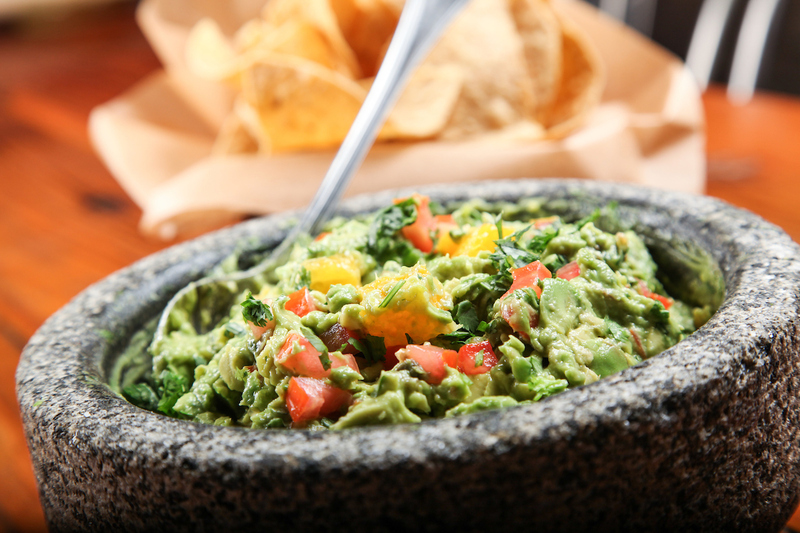 Now that we’ve shared a few tricks of the trade, here is El Segundo Sol’s guacamole recipe! Using a spoon mash all of these ingredients together and allow to macerate. Using a serrated knife slice the avocado in half and remove the pit. Slice the avocado in the peel into large chunks. Using the spoon add the avocado to the bowl. Love the guac? Click here to check out some other dip recipes!